If your organization uses Tessitura, you'll be able to import Extraction lists into WordFly. Follow the steps in this support article to import your Tessitura Extraction list into WordFly. Import your Extraction under Email > Email Campaigns or Subscribers > Lists. After you import your list, you can use it in an email campaign. Follow these instructions for importing your Extraction outside an email campaign under Subscribers > Lists. The process is the same within an email campaign under the Subscribers tab. 4. Select Use an Extraction list. 6. Select your Extraction list from the available list ID's. 7. In section 2, select your Extraction download. Note: The data you see in WordFly for importing an Extraction is populated by reading Extraction & Download meta data from the impresario_cci database in Tessitura. This data is not checking the file system in the Extraction output/pickup directories defined in T_Defaults. 8. 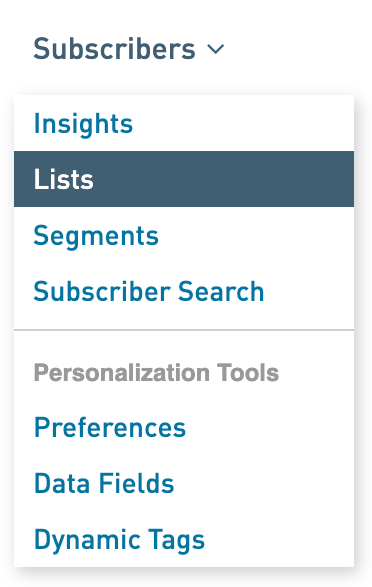 In section 3, map your list fields to corresponding data fields in WordFly. If you've followed these steps exactly and are coming across an issue with the file import, review our Extraction Troubleshooting post.